Well, what an experience that was. It’s the morning after the night before for this particular horror fan – and that’s how I felt last night: a horror fan more than a horror writer. On leaving school many years ago, I wanted to direct films. It was never going to happen back then, as all I had was a head full of story ideas and not a lot else. But the stories refused to go away and, as a result of various things happening in my life, I started to write the tales I’d previously wanted to film. One of the pivotal moments for me was when I picked up a copy of DOMAIN by James Herbert. This post will become far too long and rambling if I talk about the book in any detail now, so I’ll save it for another day. Suffice to say, DOMAIN’s the only book I’ve ever finished reading then immediately turned back to page one and started again. It redefined what a horror novel could be for me, and it undoubtedly set me on the path towards writing the kind of books I write today. 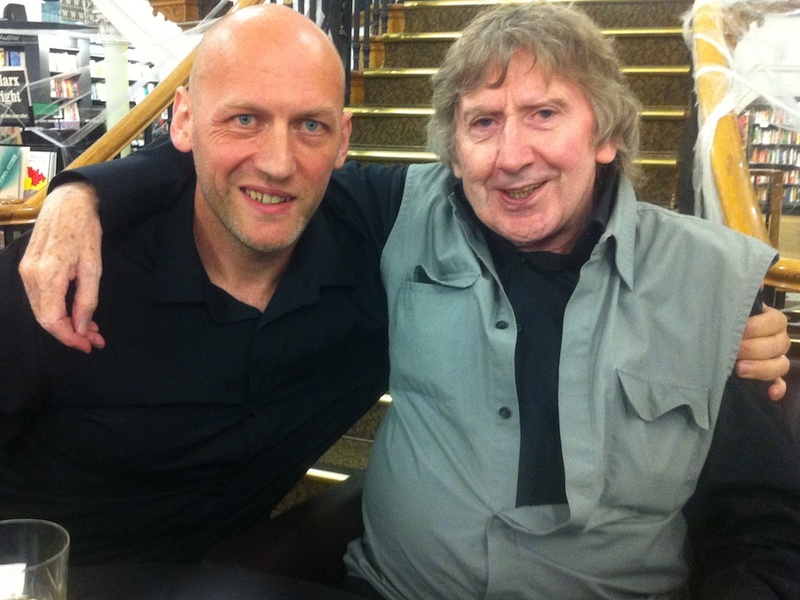 Last night I had the honour of not only meeting James Herbert, but also of interviewing him in front of a huge crowd at Waterstones, Birmingham New Street – one of only two events he’s doing in support of his new novel, ASH. When I left school, rather than head straight for Hollywood(! ), I instead ended up working for Midland Bank, and they, coincidentally, were the owners of the imposing grade II listed building now occupied by Waterstones. It was a surreal experience to walk into the oak panelled senior manager’s office on the top floor to meet James. We spoke for a short while before the event – I gushed embarrassingly about the impact he’d had on my work, and he took it all in his stride whilst managing to put me right about certain aspects of writing and the business overall. It’s hard to appreciate the scale of this man’s achievements – in terms of figures alone, he’s written twenty-three novels which have been translated into more than thirty languages and have sold in excess of fifty-four million copies. That’s fifty-four million books. I talked to him about the queues already building up outside (which were astonishing) – he told me he once had a signing where a staggering seven hundred people turned up, and an additional eight hundred people had pre-ordered signed books! Down to business, and whilst I was a little star-struck and fluffed my introduction, the rest of the evening went brilliantly. He’s such an easy man to talk to – and he pre-warned me, he doesn’t need much encouragement to talk! – so it was little more than a case of sitting back and enjoying listening to him along with the rest of the audience. For any writers going out into the world to face their public, James Herbert provides a lesson on how to handle yourself. We finished talking just before eight and he immediately started signing. And signing. And signing. He finished just before eleven, engaging with absolutely everyone who’d come to see him, giving the last person in the vast queue just as much time and attention as he had the first. Oh, and he even signed my original, yellowed with age, paperback copy of DOMAIN. An incredible experience. Thanks to James, the staff at Waterstones, and a special thanks to fellow author Dave Jeffrey for sending the email that put me in touch with the store and made last night happen. I’m thrilled (and not a little stunned) to announce that I’ve been asked to host James’ only other UK signing at Foyles in London on 18th September. Tagged Ash, David Moody, Domain, James Herbert, Waterstones.